From our research on best international practice we have discovered that the most effective approach for improved attendance is to identify and refer to the most appropriate care as quickly as possible. 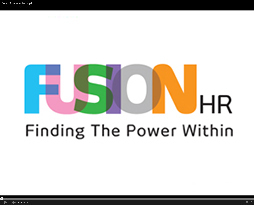 Fusion HR recognises that there is not a 'one size fits all' solution to absence management. By partnering with FirstCare Ltd., the largest supplier of absence management services in the UK, we are able to provide Irish organisations a dynamic modular service. This approach enables clients to tackle their unique absence management challenges in the most cost efficient way. On this page you will find details of our current service offerings, along with an indication of the impact they can have on absence management issues. If none of the service offerings quite meet your needs, you can 'design your own' AMP service to integrate with your existing policies and procedures. Finally, we welcome the opportunity to speak with you and to demonstrate how Fusion HR can help you manage and reduce your absence costs. You can therefore request a consultation with a member of our team at any time by clicking on the link provided. Fusion HR’s Record and Report service provides organisations with all of the basic tools required to successfully manage and reduce absence. As part of the service, Fusion HR provide a 24/7 contact centre, staffed by specialist Absence Advisors who record the details of each and every absence. Instant notifications, via email, SMS and pager are then issued to line manager to keep them up-to-date and informed of absences. In addition, absence policy alerts and wellbeing referral triggers signpost required actions, while line manager compliance with the return to work interview process is monitored and reported on. Furthermore, all line managers, and HR personnel, have access to 'myFirstCare' a secure portal providing 24/7 online management information reports. Finally, each of our clients is assigned an Account Management Team who provide support, guidance and advice on strategies to tackle and reduce absence. Fusion HR's Nurse Led Absence Management Service includes all of the features of our Record and Report service, but adds medical advice from Irish Registered General Nurses for every absence, regardless of reason of length, ensuring that employees are provided with 24/7 medical support. In addition, Fusion HR utilise the unique ‘FirstTrack’ system to integrate with existing health and wellbeing providers, such as Occupational Health, to speed up referral processes and monitor the impact of treatment pathways on returning employees to health, and to work. Furthermore, Fusion HR will provide Data Export files for Payroll system integration, provide dynamic Return to Work (RTW) interview forms to ensure that line managers ask the best questions possible, and launch Absence Monitoring, an online tool for managing employees through the absence policy and tracking as aspects of associated line manager activity. The five sectors that have yielded the most significant benefits from our absence management service in Ireland and the UK are listed below. We have selected an organisation within each sector in order to demonstrate the specific ways in which our service has helped them. Fusion HR is delighted to introduce the AMP service into Ireland, powered by FirstCare in the UK. AMP is designed to support employees, line managers, HR and the organisation as a whole to reduce costs and improve wellbeing. • Employee calls AMP on a dedicated 24/7 absence line to report, update and close their absence through to our dedicated contact centre. • Immediate and ongoing advice is provided by our An Bord Altranais Registered General Nurses or Specialist Call Handlers, who offer guidance and support from day one of the absence through triage. • This support extends through the absence, returning the employee back to health and then back to work earlier than otherwise may have been possible. • Following every employee interaction or absence update, appropriate Notifications and Alerts are sent to relevant contacts, summarising absence details and indicating the next steps to take and the appropriate time to take them. • Where appropriate, AMP will signpost and manage Wellbeing Referral Integration to services such as EAP, Fast-track Physiotherapy and Occupational Health to ensure the right support is provided to the employee at the earliest opportunity. • Available 24/7, AMP provide a suite of online Management Information ("MI"), covering absence trends, reasons, analysis and process compliance, allowing management and HR to monitor absence activity in real-time and make informed decisions that help reduce absence. • Through analysis of the above, Proactive Account Management is provided to highlight emerging trends, identify hot spots, provide guidance and advice on actions to reduce absence and facilitate best practice workshops. Through use of the AMP Service, Fusion HR will empower you to deliver several benefits to a number of key stakeholders. No telephone triage involves making a diagnosis; instead it collects sufficient data related to the presenting problem and medical history, matches the symptom pattern to the protocol, and assigns a category. Triage simply means to sort – those that need to be seen and those that don’t. On some notifications of absence you may see an additional option of advice given, which is Self Care that enables the employee to manage their illness on their own using appropriate over the counter medication or some rest and relaxation dependant on the symptoms. What are AMP's reporting capabilities? Following each absence call to our Absence Contact Centre, automated notifications are sent to all relevant contacts, ensuring that they are kept up to date in a timely manner and informed of the right steps to take and the right time to take them. • Customised Instructions, telling the manager the next steps to take based upon the absence reason. • Attachments, such as Stress Checklists, Referral, RIDDOR and HR forms. • Sick Note details and information on alternative duties the employees feels they can perform. • Nurse advice given to employees to assist their recovery. • Referral form assessment and referral recommendation for agreed absence types. Why is AMP so effective? In some organisations it has never been made clear exactly who is responsible for encouraging and maintaining good attendance in the workplace. The role is vaguely defined from the offset and falls somewhere between line managers and the HR department. Each assumes the other has control. It starts to drift and, very gradually, a dangerously high absence level is afforded a kind of tacit tolerance within the organisation - as it quietly erodes productivity. AMP gives organisations the means to take control of absence in the workplace. Instead of responding to the problem in an ad hoc manner, absence is managed in a pro-active way to bring about much better results. A properly structured approach to absence means greater accountability and a swifter return to work - leading to better productivity. At it's simplest, it means you have more of your people, all of the time. But the benefits go beyond the balance sheet. Team morale increases as the workload is distributed more equitably. This engenders a stonger sense of cohesion with everyone pulling together and working as one. AMP also boosts staff welfare directly. Potentially debilitating health issues are identified early and treated before they develop into long term illnesses. As is so often the case, prevention is better than cure – and also less costly. Fusion HR provides each client with a dedicated absence line into our specialist, 24/7/365 Absence Contact Centre. Here we record the detail of every absence in a fair, consistent, complete and accurate manner before issuing timely notifications to all key stakeholders. These provide line managers with detailed absence information and guidance on the most appropriate steps to assist an employee back to work. Details of every absence appear in real-time reports on 'myFirstCare', a secure online portal available to HR and line managers. It provides dashboards, trend reports, focus lists and task monitoring reports enabling users to proactively manage absence and make informed decisions. Fusion HR map the triggers of it's clients' absence policy on to its system as part of the implementation process. Each time an absence is reported our systems refer to this policy and when appropriate generate alerts to relevant stakeholders, such as line managers, HR, health and safety officers and occupational health. These alerts can be fully customised with bespoke content and attachments to ensure that the recipient is fully aware of what actions to take and when to take them. Engagement of individuals and the constructive use of Return to Work interviews is key to helping organisations engage with their staff, and reduce absence. Fusion HR tracks the completion of all Return to Work Interviews and produce reports on manager compliance throughout the organisation. This is done by organisational hierarchy area and absence reason to help identify areas of non-compliance. Fusion HR assigns an account management team to each of its clients. This team consists of an Account Director, an Account Manager and two Service Delivery Advisors. The team will work with our clients key contacts to analyse absence trends, recommend best practice adjustments to policies and procedures, and discuss the best ways to manage and reduce absence. All employees will be spoken to by one of our Registered General Nursing team to assess every medical absence. The nursing team will provide the employee with primary care advice on how to return themselves back to good health and will agree a target return to work date, based upon an employees symptoms. In addition, employees will be able to call our nursing team for a free medical advice at any time of day. Our absence monitoring service allows us to map an organisation’s attendance management procedures (or equivalent) onto our systems. We then monitor the actions taken by line managers when managing employees through these procedures. Compliance reports are maintained so the organisation can monitor how well managers are carrying out these activities so, that support and guidance can be given, as required. Fusion HR not only trigger recommend referrals to relevant support services, such as Occupational Health, but will also complete initial assessments and referral forms for line managers. We then track Line Manager performance in making referrals to support services and track the service provider’s performance in actioning received referrals. Fusion HR produce payroll reports to help the administration of sick pay payments for staff. This includes the provision of data files on any frequency required (such as hourly, daily, weekly, monthly) for loading into an organisation’s payroll system. This reduces the need for any manual data entry and ensures all payments are as accurate as possible. Fusion HR's push reports form a suite of management information automatically emailed to recipients' mailboxes on set schedules. They are designed to complement the myFirstCare portal and provide recipients with summarised absence trends and focus lists. These are ideal for anyone with limited time who simply needs to see headline absence information. These reports run daily, weekly and monthly and can be set-up for all levels of the organisation's hierarchy. Fusion HR's enhanced account management includes the addition of an 'Absence Consultant' to the account management team, who will review all absence related policies and procedures and provide advice on changes and improvements. In addition, service reviews will be held monthly rather than quarterly. The dynamic Return to Work interview feature moves away from the concept that one size fits all. In these forms, the questions and advice presented to the line manager are based upon the details of the absence the interview is being completed for. This helps to ensure that managers will always ask the most appropriate questions in each Return to Work interview. Furthermore, by asking questions specific to the health issue the employee has just recovered from, the line manger will be able to demonstrate a greater duty of care. Increase line manager compliance with policies. Increase efficiency of management time. Better utilise Support Sevices, such as OH, Physio and EAP. Facilitate improved and reliable resource planning. Provide easier access to medical advice and support for employees. Access tools that can help reduce absence and its associated costs.